This marks the third bid extension for the tender. 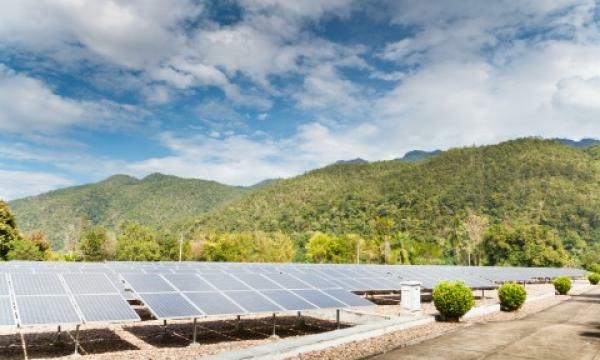 The Solar Energy Corporation of India (SECI) has extended the bid submission deadline for 97.5MW of grid-connected rooftop solar PV projects from 16 April to 30 April, an announcement revealed. This is the third bid extension deadline for the tender for 97.5MW of grid-connected rooftop solar PV projects for government buildings in different states and union territories under CAPEX or RESCO model. SECI had earlier extended the bid submission deadline for this project from 27 March to 11 April, and again to 16 April. SECI had issued the Request for Selection (RfS) for the implementation of 97.5 MW of grid-connected rooftop solar PV projects in February 2019, of which the total capacity of 97.5MW is divided into three categories. The first category is for 10 MW comprising CAPEX Model (Part-A), the second is 85 MW consisting of RESCO Model (Part-B), and third is 2.5 MW comprising CAPEX Model (Part-C), according to a report by Mercom India. Under Part-A, a bidder can apply for a minimum aggregate capacity of 100 kW and the maximum aggregate capacity of 1 MW. Under Part-B, a bidder can apply for the minimum aggregate bid capacity of 1 MW and a maximum aggregate bid capacity of 10 MW. “Any bidder eligible for participation in either Part–A or Part-B, is not allowed to participate in Part- C,” SECI noted. The size of each project will be in the range from 1 kW to 500 kW under Part-A and B and 1 kW to 25 kW for Part-C. The ceiling tariff for general category states and union territories is $0.049 (INR3.50)/kWh and for special category states and islands is $0.049 (INR3.50) /kWh. The techno-commercial bids will open on 1 May.